Circuit training is a versatile form of exercise in which you set up a series of cardio activities, strength exercises or both. 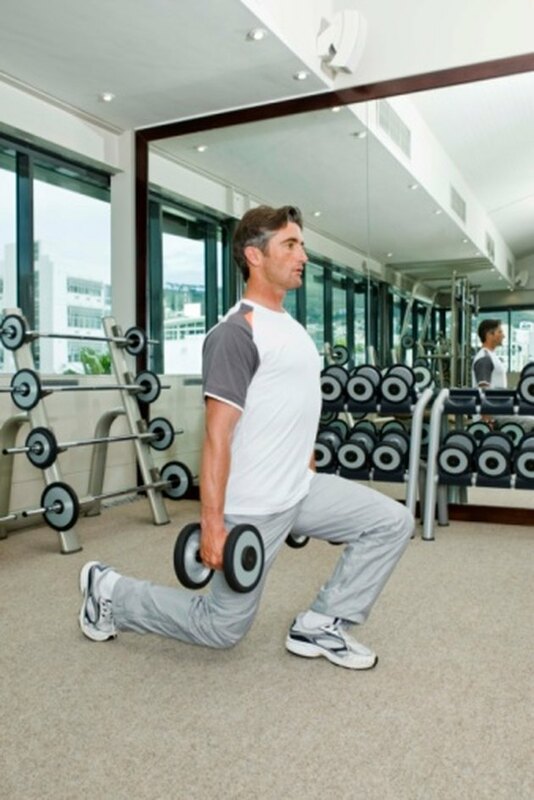 The circuit can consist of as few as three exercises or as many as 15. The general goal is to complete the circuit with as little rest as possible in between exercises. The best time between sets partially depends on the goal of your training. For the year 2010, the American Council on Exercise, or ACE, listed circuit training as one of the top fitness trends. The reason was the time efficiency of this style of exercise. Because the rest time is kept to a minimum, an average circuit training session only takes 20 to 30 minutes to complete. Saving you time is the main function of circuit training. The short rest periods result in a quick, efficient workout. ACE says circuit training workouts are "more appealing to those with busy schedules because they can reap significant fitness rewards with relatively minimal time investment." Taking more than 10 to 20 seconds between sets defeats the main function of circuit training. Circuits are designed to save you time. For strength circuits, you alternate upper- and lower-body exercises. This way, the upper-body muscles you just worked rest while you move to a lower-body exercise, and vice versa. In a standard workout, you perform several sets of one exercise. You have to rest muscles between sets. These rest intervals add up. Circuit training saves you all that wasted down time. Circuits can consist of both cardio and strength exercises. Alternating strength exercises with cardio activities is an efficient style of working out. When cardio stations are integrated into a circuit, they are alternated with strength exercises. You use the cardio station as an active recovery set between strength exercises, again saving you any down time. Even a circuit consisting of all strength exercises can have cardio benefits because of the minimal rest between exercises. A study published in the "Journal of Strength and Conditioning Research" found that a circuit consisting of all strength exercises can have cardiovascular benefits. Subjects performed 10 repetitions of 11 different strength exercises with no rest between sets. The oxygen uptake of the participants met the American College of Sports Medicine intensity guidelines for increasing cardiorespiratory fitness. Three to fifteen seconds is a basic guideline for the rest periods in a circuit training session. However, a specific protocol for the rest times between stations doesn't exist. No hard rules apply. In general, you only rest long enough to move to the next station. However, if you need to catch your breath for a few seconds, do so. The best time to take between sets in a circuit depends on your training goal, your fitness level and the amount of time you have available.